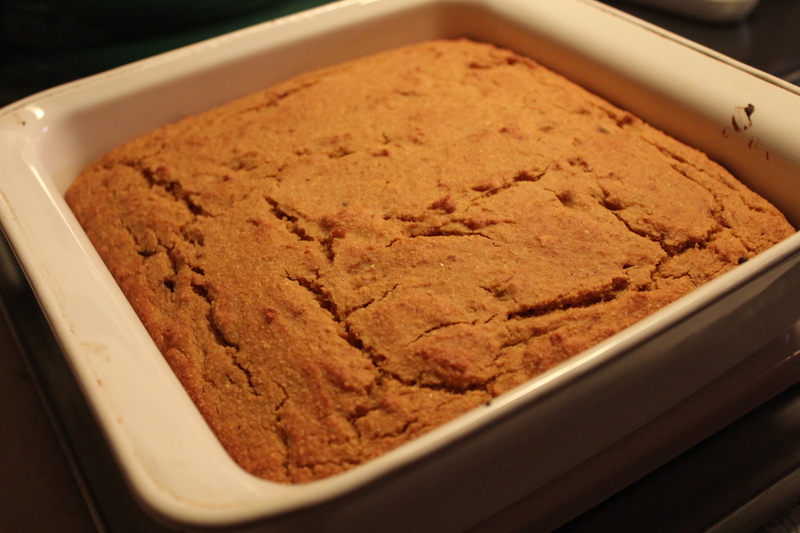 This is the cornbread recipe I made to go with the Southwestern Lentil Soup. 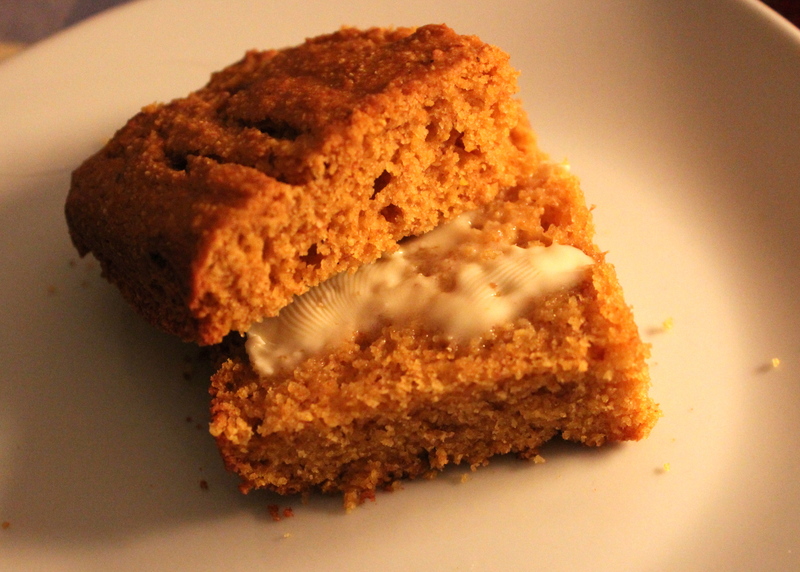 It’s a little unusual in that it contains pumpkin, but it makes the cornbread so moist. The added spices also give some additional flavor and were a nice complement to the soup—like they were made for each other. I almost overlooked this recipe as it was on a magazine page that was an advertisement for Kenmore Products, and credit for the recipe was given to Cliff Hagerman. So I would like to thank Mr. Hagerman for his recipe; its a little unusual, but we really liked it. 1. Preheat oven to 400 degrees. Grease a 9-inch square baking pan. 2. 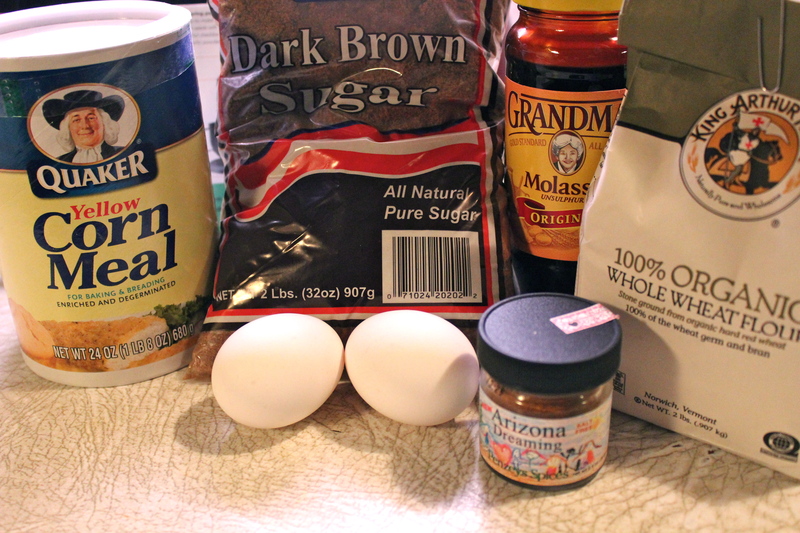 Whisk together the flours, baking powder, salt and spices into a large mixing bowl. Whisk in cornmeal. 3. In a separate bowl, beat eggs lightly. Whisk in pumpkin, brown sugar, oil and molasses. Pour into the dry ingredients and stir to combine. Batter poured into a 9-inch square pan, ready for the oven. 4. 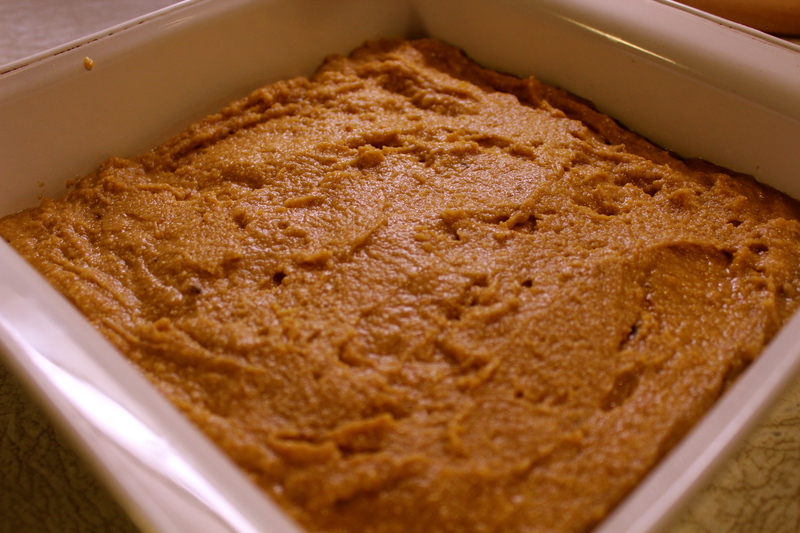 Pour batter into a 9-inch square, greased baking pan. Bake at 400 degrees for 30 minutes, or until cornbread is browned and surface springs back to the touch. Golden brown, hot out of the oven. 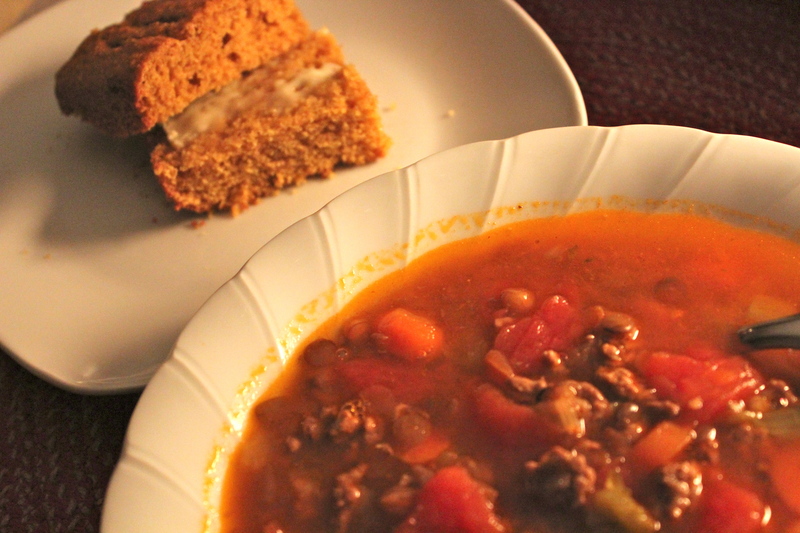 I served it with soup but this cornbread would also be a good accompaniment to chili. SOURCE: Magazine clipping, ? the source.